RASOR is supporting the humanitarian actions in Haiti that has been struck by the super-Hurricane Matthew. 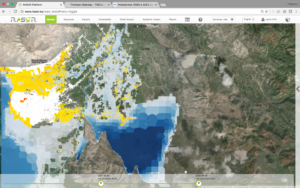 RASOR provides simulated flood damage assessment layers for the area of Les Gonaives, that suffered in the past of heavy flooding during hurricanes overpasses. RASOR does within its open and free philosophy to support DRR and Humanitarian Action worldwide.